Here’s a complete guide on how you can backup all your Cydia jailbreak tweaks, apps and sources on iPhone, iPad or iPod touch to a safe location for restoration later. 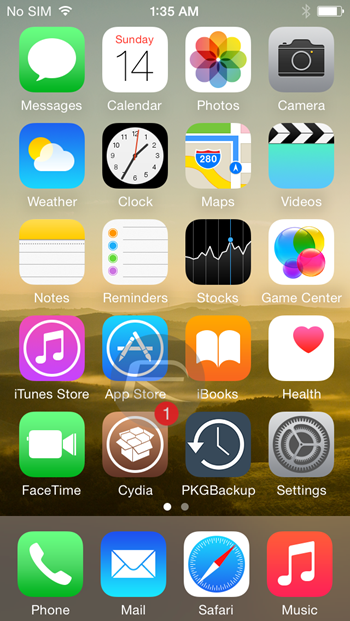 Installing and getting to grips with the latest and greatest jailbreak tweaks and extensions is a breeze. Long gone are the days when liberating and extending the functionality of an iOS device was a mixture of complexity and utter frustration to even get the simplest of tweaks working. However, we may find ourselves in the luxurious position of being able to install our favorite tweaks with relative ease, but creating a backup of those packages for use at a later date still seems to fall under the category of ‘black magic’ for most users. No longer shall you be confused as we are about to give you a fool proof step-by-step guide on backing up your jailbreak tweaks. Step 1: Download and install the PKGBackup app from the BigBoss repo in Cydia. This tweak comes with an attached $9.99 price-tag, but that sinks into insignificance when you realize said package’s potential. 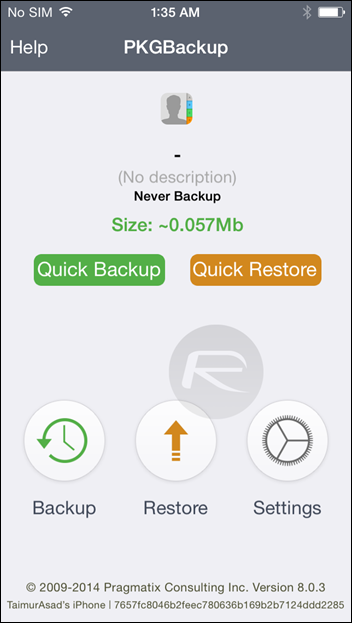 Search for “PKGBackup”, complete the purchase process and install like any other tweak. Step 2: After the installation process, PKGBackup will now have a home screen icon like any normal app. If you get a ‘Use Your Location’ prompt, you can choose to accept or decline based on your own personal preferences. Step 3: PKGBackup provides a variety of mechanism for storing backups and preferences. Although the package is cloud-aware with options like Dropbox etc., the default backup position is actually on the device either as an Contacts.app entry or a local file path. You can configure these options and more either from Settings.app or Settings option in the app itself. Step 4: Run PKGBackup. 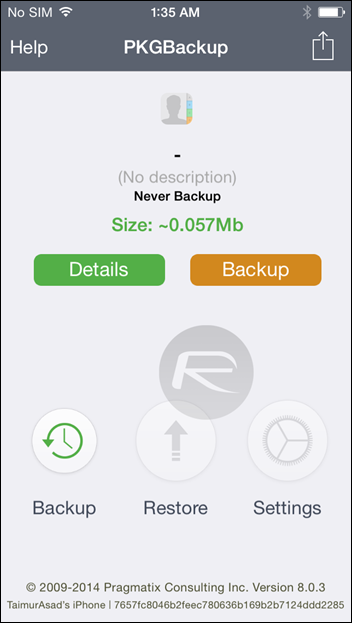 Tap on the circular ‘Backup‘ option. Step 5: Now tap on the green Details button. 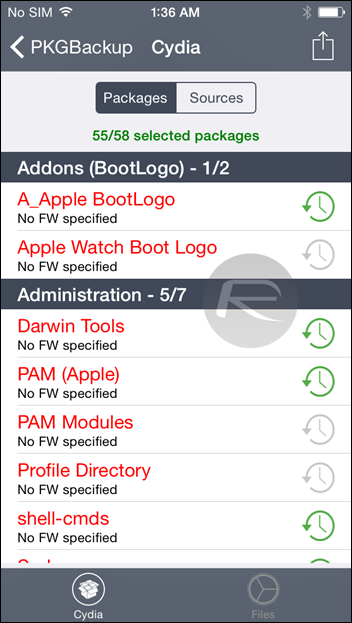 This will allow you to view a list of all tweak packages and sources currently installed on the device. Step 6: By default, all packages are selected as part of the backup. Tap to deselect or select a Cydia package or source. Go through the list carefully and select the ones you wish to backup. Step 7: Navigate back to the main view of the PKGBackup app. Now tap the orange ‘Backup’ button to begin the process. Depending on the backup size, and location chosen in Settings, PKGBackup will do what it does and output a backup file at the specified location. PKGBackup is a brilliant, albeit expensive, utility that can be as simple or as complicated as you would like it to be. Each individual setting is outside of the scope of this handy little step-by-step guide, but feel free to dive in and customize the experience to your exact needs. Wow… there are actually 2 guides for this app here?!?! One to backup and one to restore… and each is simply “download this $10 app” –> which doesn’t work on iOS 8.1.2, making it relatively useless. Honestly, as I’ve posted in your other “guide”, this is NOT a guide… simply a shameless advertisement for this package!! A REAL guide does not say “this is how you do something”, and then simply say “download this $10 app and follow instructions”!!! ESPECIALLY WHEN IT DOESN’T WORK!!! Download this tweak for free. Step 1: Find (hackyouriphone) repo on google and install it via cydia. Step 2: Search PKGBackup in cydia. NOTE: This tweak might not work on IOS 8 version. The App does work. I have used it successfully since Iphone 4. And I only had to pay for it once. What is your data worth? What are your themes and layout worth? Some of us spend a lot of time getting the jailbreak tweaks set up the way we want. The only reason it would not work is because you did not set it up correctly. To state the obvious, you must have a jailbroken apple device. 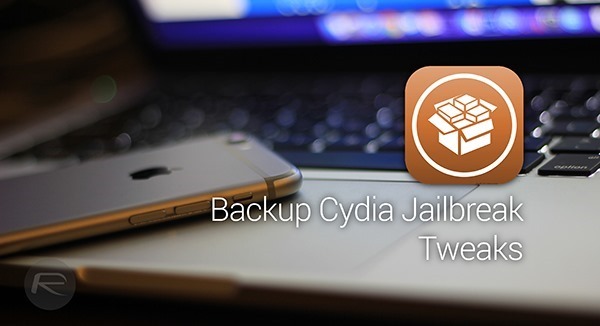 If you have just upgraded to a new version of IOS and successfully jailbroken, you then need to download Pkgbackup from Cydia and install it. It was your responsibility to backup your Cydia apps using Pkgbackup BEFORE you upgrade to a newer IOS. Once this has been accomplished, you can then run the app to restore your backed up apps. And the part about it not working is only secondary to my complaint (although it’s still a fairly large complaint!!). When you see a GUIDE for something, you expect (at least, I expect), it to be a helpful tool to teach you how to do something useful. This is simply an advertisement for this program…. which costs $10 (yes, I know it can be pirated for free – I did that – would never pay for something that doesn’t work!). unlocking site among all the others. just google atttiphooneuunlockingis one of the few sites that’s still in a situation to սոⅼοсking AT&T phones after AT&T doesn’t enable the access with their database for many cheap սոⅼοсkings anymore. just google atttiphooneuunlockingis among the most reliable սոⅼοсking site for AT&T with no doubt.